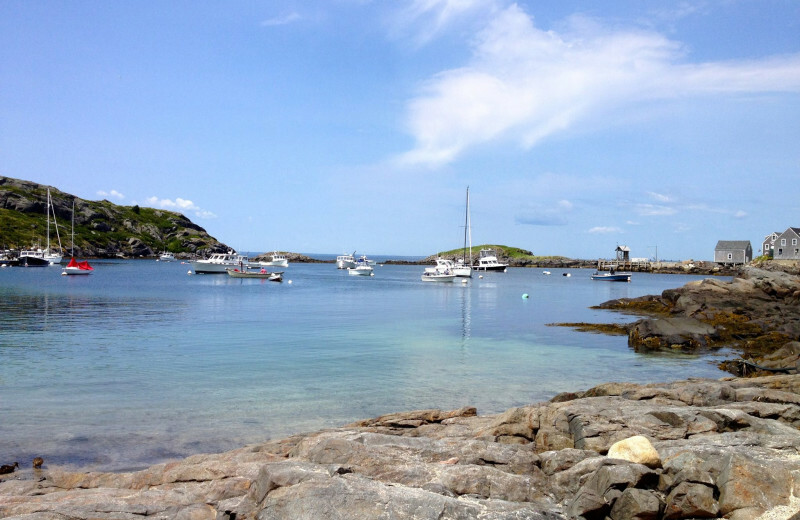 Midcoast Maine is a beautiful destination that's perfect for a quiet vacation away from the stress of everyday. 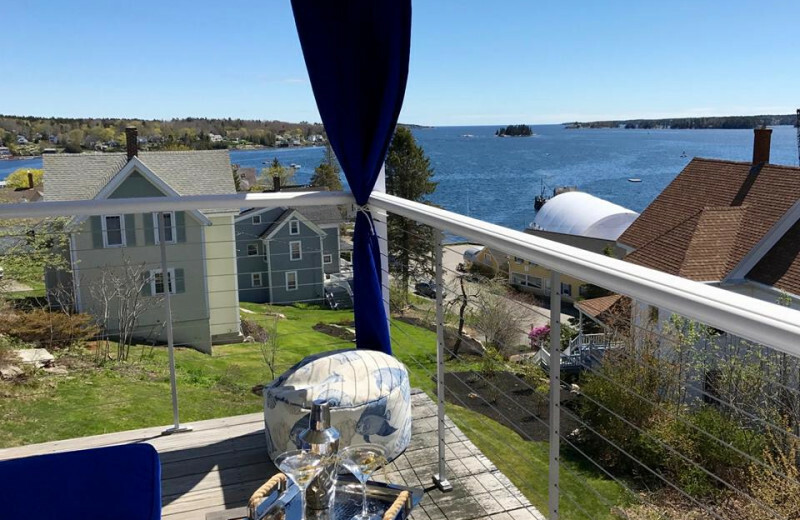 Here you will find the stunning coastal town of Boothbay Harbor, where the incredible Topside Inn offers an upscale vacation experience. 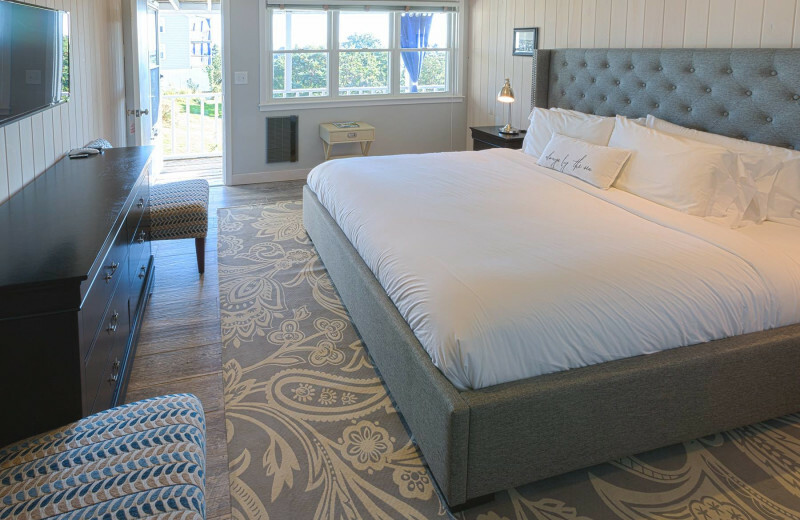 Resting atop of McKown Hill, the highest point in town, Topside Inn is a 19th-century sea captain's home that provides magnificent panoramic views, coastal-themed guest rooms across their three buildings, and a collection of modern amenities that ensure you feel right at home. Luxury touches such as private ensuite bathrooms with bath products, refrigerators, air conditioning, wireless internet, and smart televisions ensure your comfort and convenience. And that's just the beginning! The inn features a guest kitchen with drinks and snacks, but you can also indulge in their afternoon cookies, or stop by the occasional cocktail hour that includes delicious hors d’oeuvres. 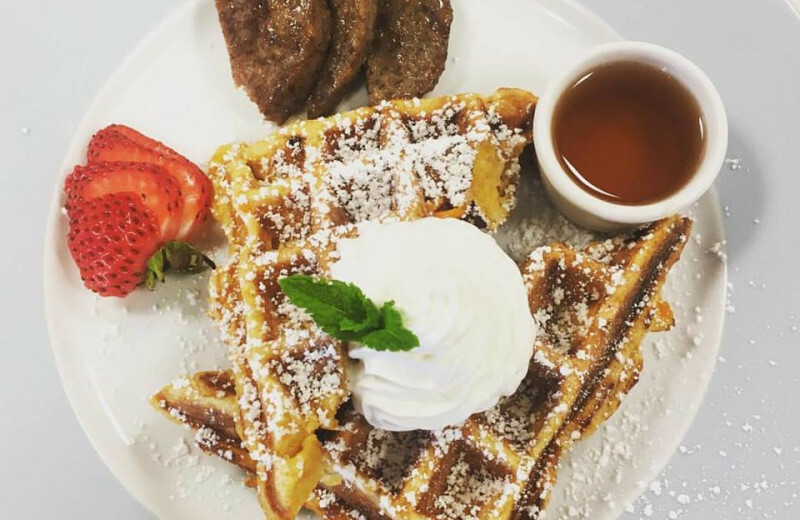 Every morning you can start the day off right with their three-course, locally-sourced breakfast before you head out for an to explore. The inn rests on four beautiful acres with perennial gardens and a one-acre orchard that lets you unwind without having to go to far. When you're ready for a little more adventure, take a boat ride around the harbor right from the piers at the bottom of the hill, or rent a kayak to cruise the waters at your own pace. 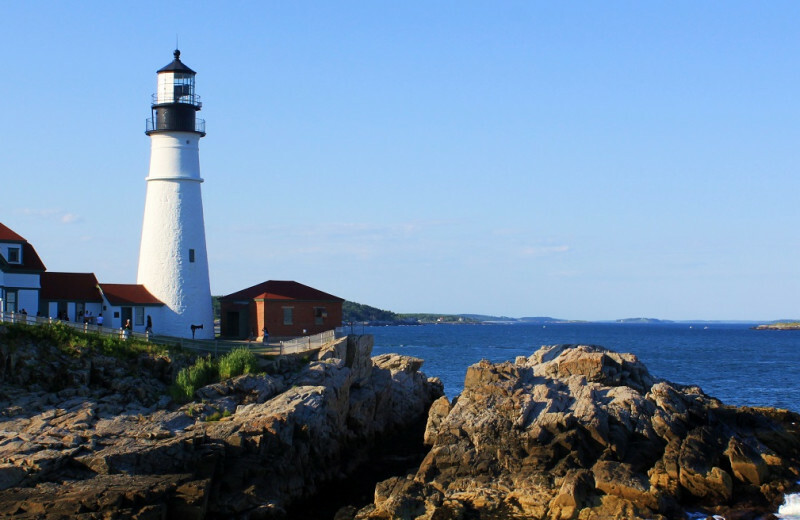 Visit the Burnt Island Lighthouse, or hike through the 30 miles of breathtaking nature trails at the Boothbay Region Land Trust. 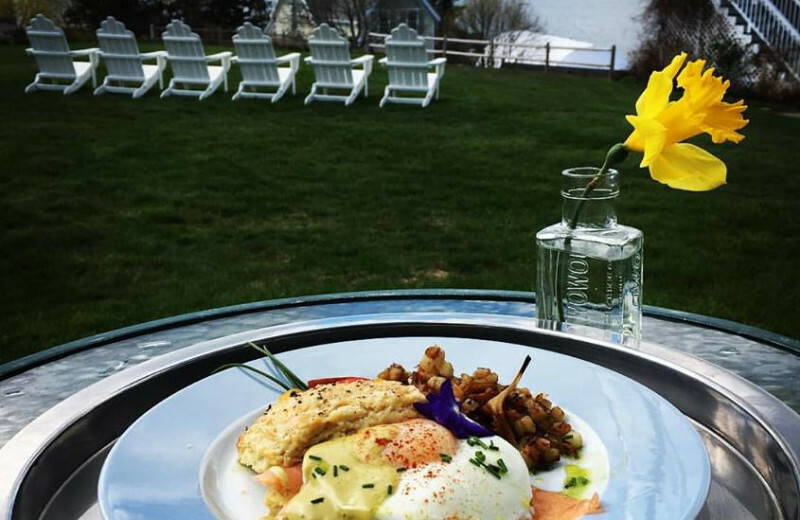 The nearby Boothbay Harbor Country Club offers 18 holes of excellent golf, or just spend a day in town where you can visit the charming shops, art galleries, and restaurants. 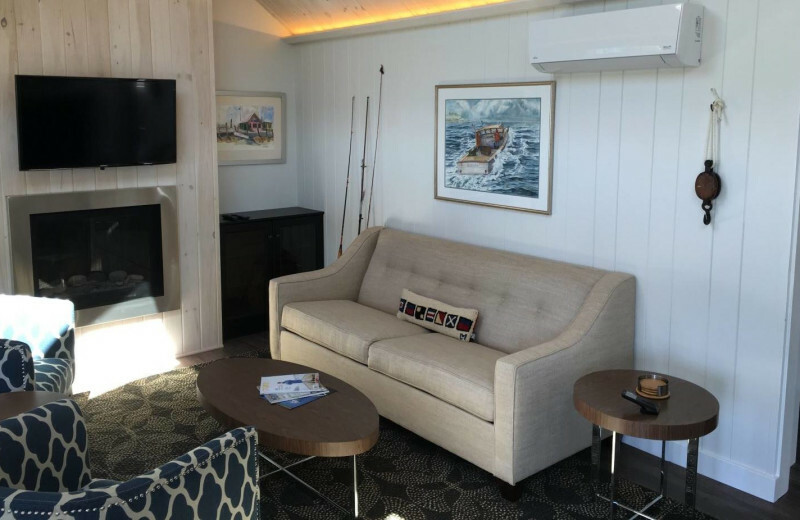 No matter how you choose to spend your time, a stay at the sleek coastal Topside Inn is everything you're looking for in your Maine getaway. 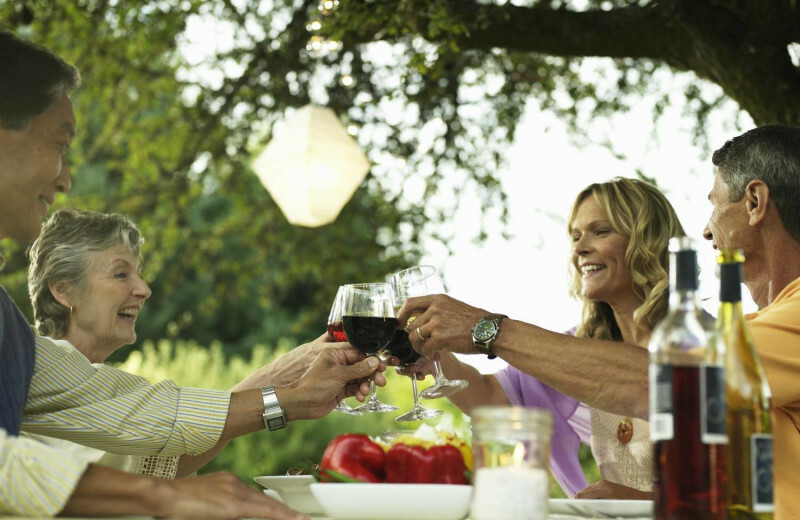 Nature-lovers of all ages will delight in an incredible vacation at Topside Inn. 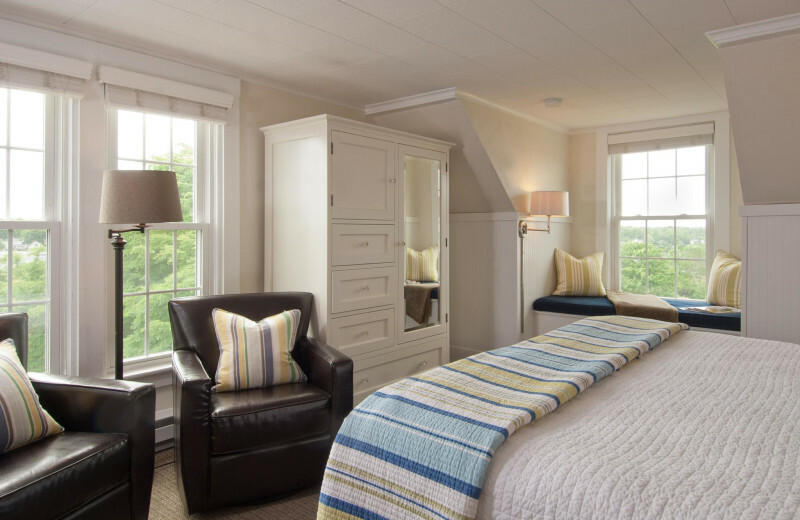 Located in beautiful Boothbay Harbor and resting atop the McKown Hill on four private acres, Topside Inn is the perfect respite from the busy city crowds. Right onsite you will find their stunning perennial gardens, and newly added orchard. Offsite, there's plenty of options to get close to nature as the beautiful Maine coast is an ideal outdoor destination for adventurers. 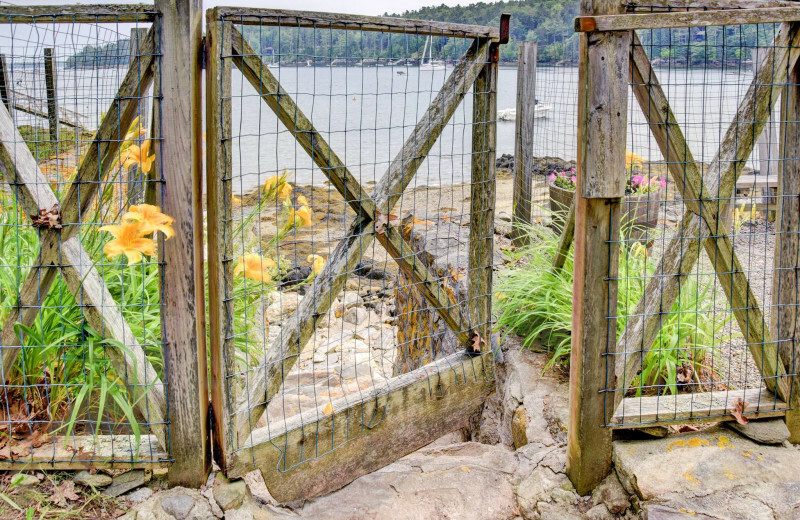 You can stop by the 250-acre Coastal Maine Botanical Gardens, or head to the Boothbay Region Land Trust for a day of hiking the 30 miles of nature trails. If that's not enough, there's boat rides around the harbor, kayaking and lobstering adventures, whale-watching tours, and so much more that's sure to pique your interest! Treat yourself and your sweetheart to something special with a getaway at the Topside Inn. 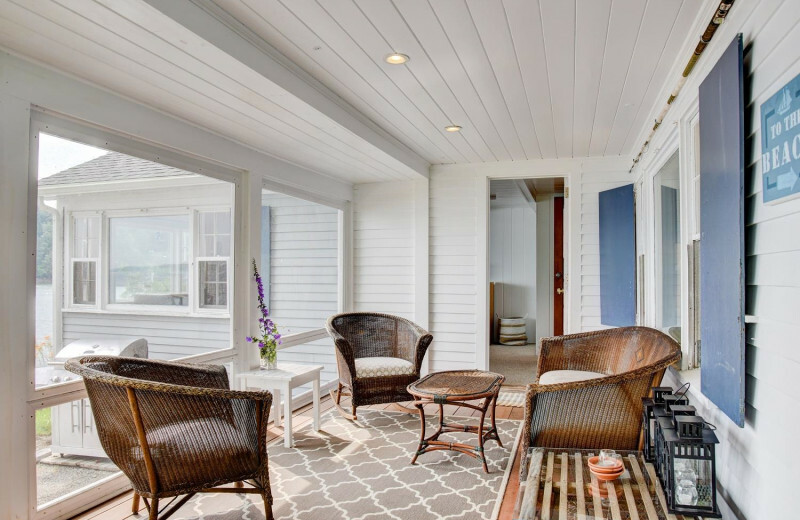 Resting on four beautiful acres with breathtaking panoramic ocean views, this upscale Maine coastal retreat provides luxury accommodations and amenities to ensure your comfort and convenience. 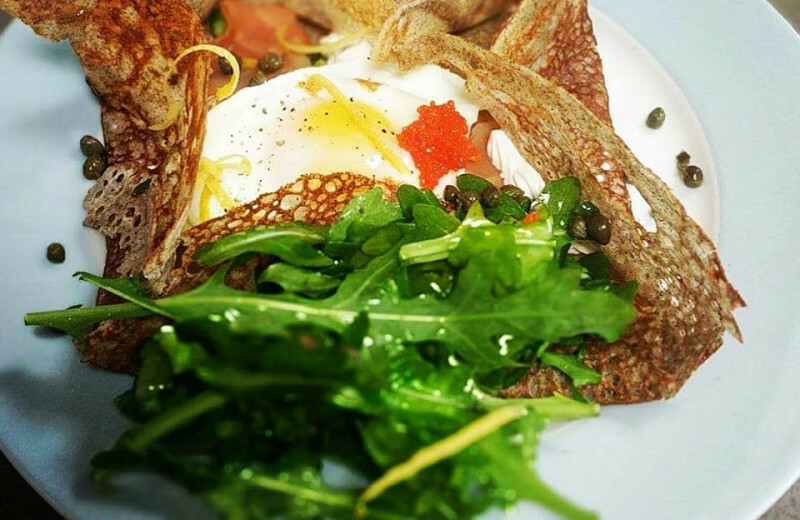 Start your day off right with their three-course breatkfast, then wander through the onsite gardens or the orchard. For a little adventure, you can rent a kayak, visit the historic Burnt Island Lighthouse, or walk along the sea wall at Ocean Point to enjoy the magnificent views. The choice is yours--together! 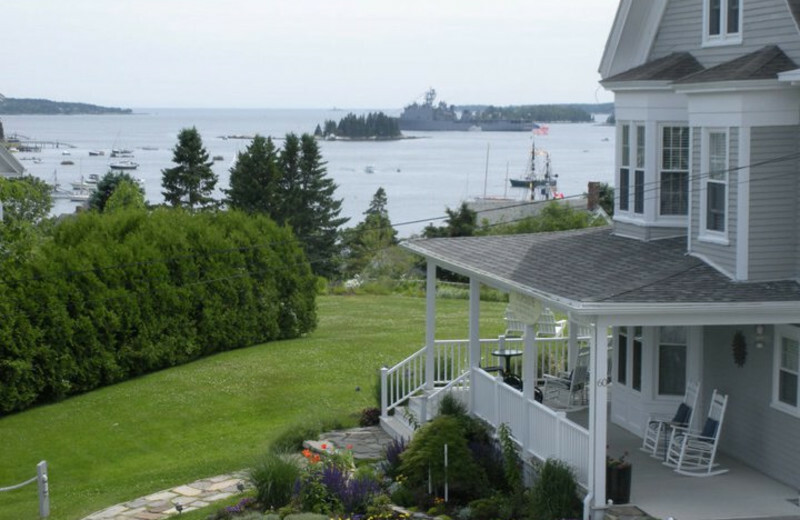 Located on four acres atop McKown Hill, with sweeping views of Boothbay Harbor, the Topside Inn is sure to take your breath away. 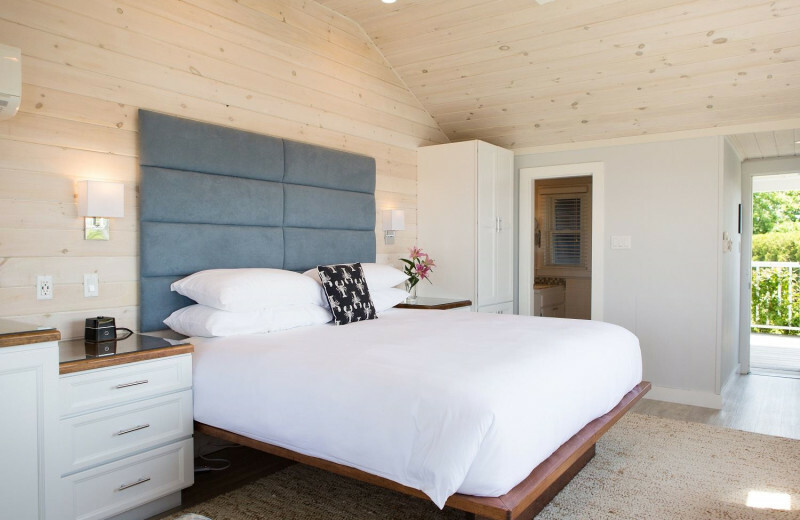 Here, you will feel right at home in luxury accommodations with modern amenities such as private ensuite bathrooms, refrigerator, cable television, and wireless internet. 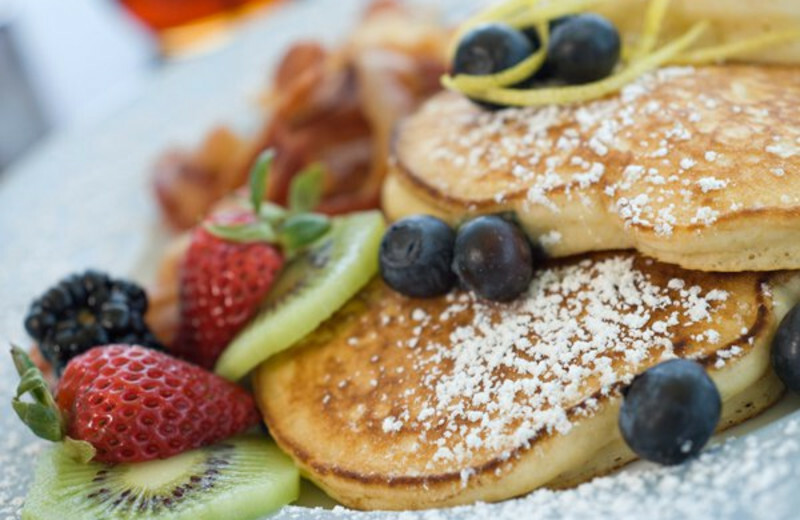 Every morning their three-course breakfast lets you energize for the day, while afternoon cookies, and evening cocktail hours provide even more onsite luxury. Everything you need for a comfortable getaway is waiting for you here! 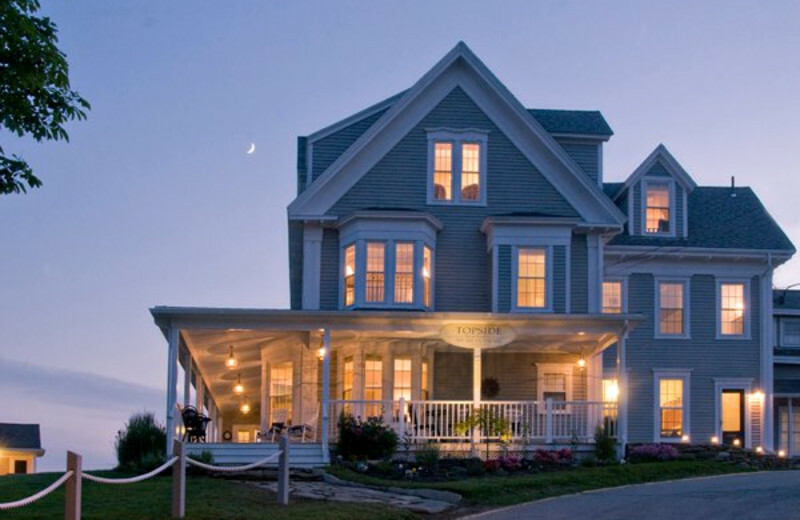 The Topside Inn's Main House is a historical seacoast home built in 1840. It was originally the family home of Cyrus and Mary McKown until 1930. Today, the Main House welcomes travelers of all ages to enjoy its six guest rooms with beautiful views of the Boothbay Harbor. Wake up every morning to a view! 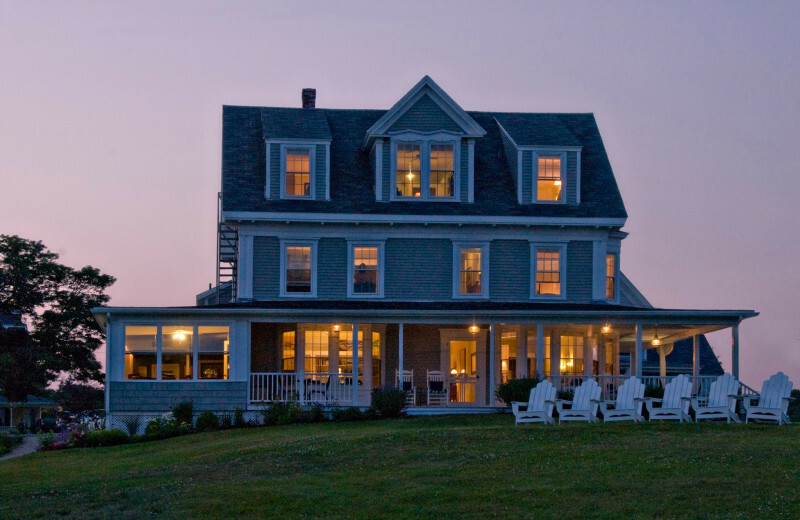 In this historic home, the past and modern amenities come together and offer guests comfort, history, a delicious breakfast, and an unforgettable Maine coast getaway. Start the newest chapter of your life together at the beautiful Topside Inn. 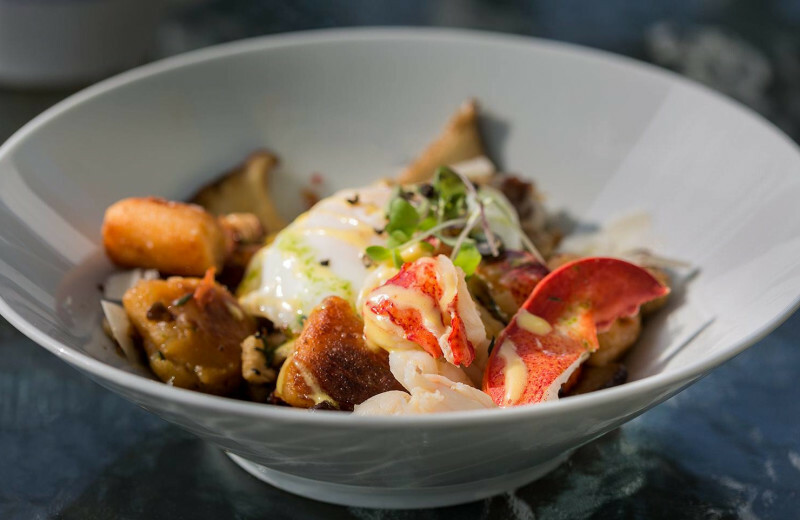 The breathtaking coastal setting of Boothbay Harbor makes Topside Inn the ultimate destination for an upscale vacation experience. Here you will delight in beautifully furnished rooms with smart television and wireless internet. 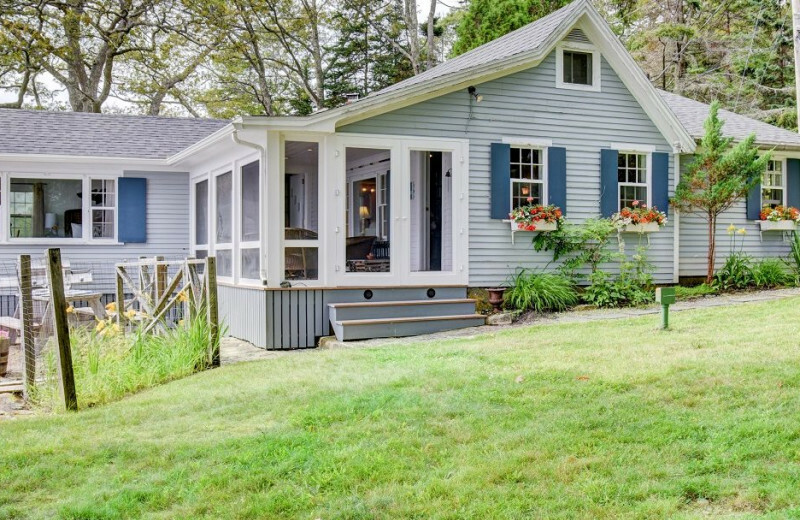 Lounge together on the spacious porch, wander around their newly added orchard, or plan an adventure! 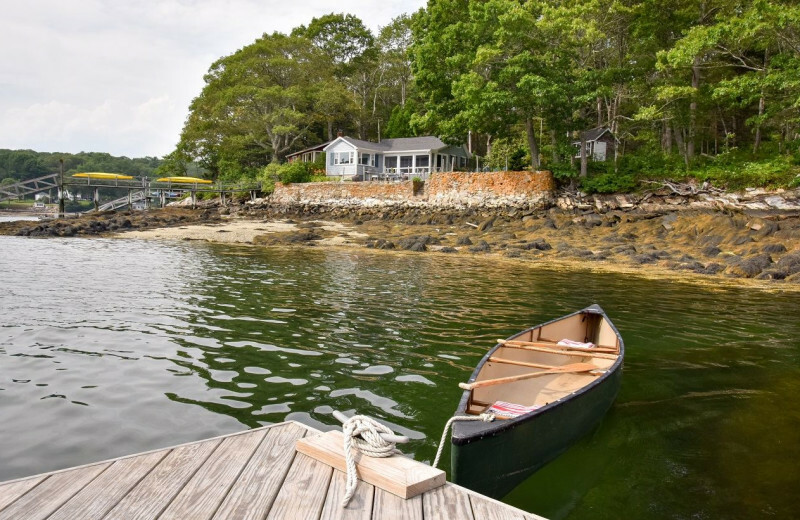 Kayaking, lobstering, and whale-watching are all available right at the bottom of the hill! This is a honeymoon you're sure to never forget. 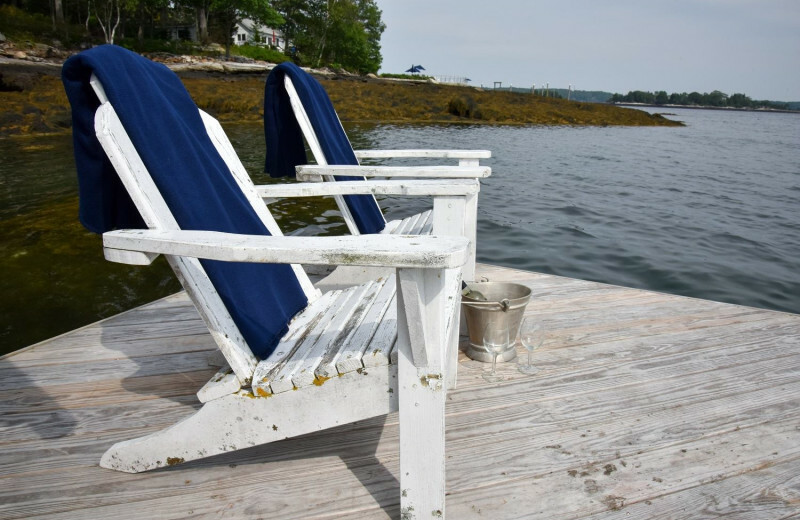 If you're looking for a little extra privacy on your Boothbay Harbor vacation, then book the luxury Water's Edge Cottage from Topside Inn. 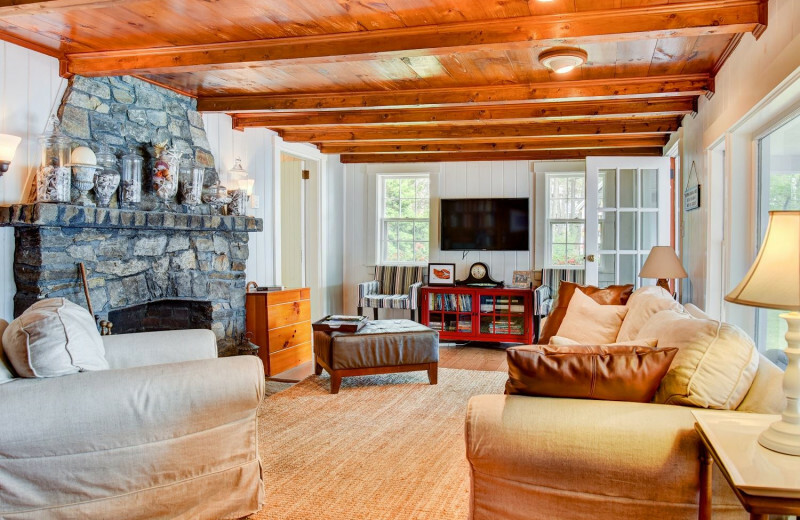 Located on its own private 1.5-acre stretch at the tip of a small peninsula, this incredible cottage is everything you're looking for in an unforgettable retreat. 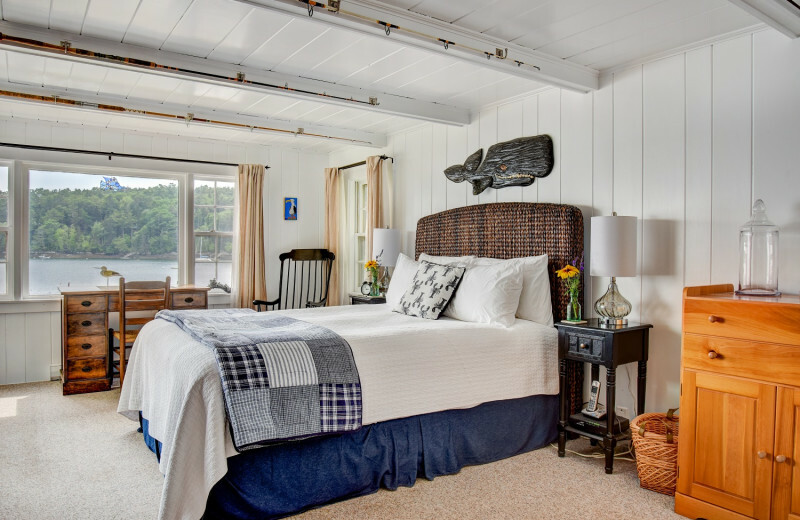 The cottage features a beautiful stonewall with steps leading down to the water, a private 95-foot dock and mooring, an outdoor dining area with a six-burner grill, and a master bedroom with a queen bed, flat-screen television. 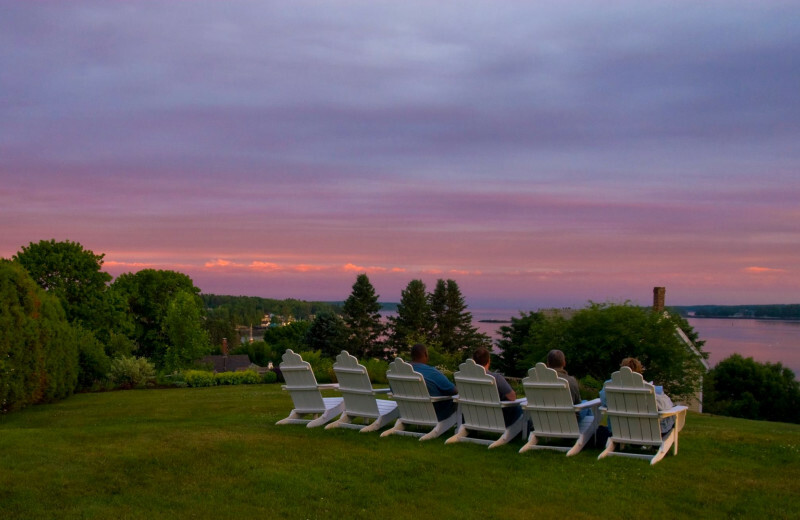 Bask in the stunning ocean views and experience a Maine coast vacation unlike any other! 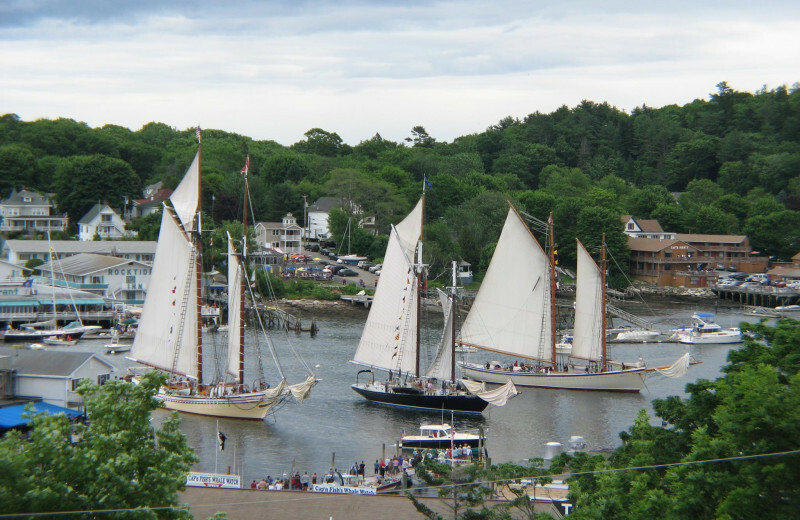 Visit Boothbay Harbor during the holiday season and experience a unique event in town. 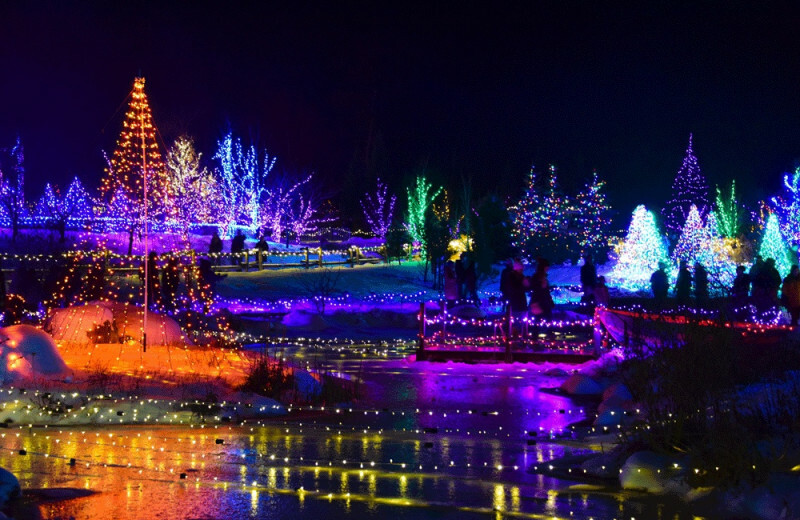 Boothbay Lights is a celebration of signature Holiday events in Maine midcoast’s quintessential seaside town! The town sparkle with thousands of lights and the shops, restaurants, hotels, and everything else are to make an unforgettable holiday season. 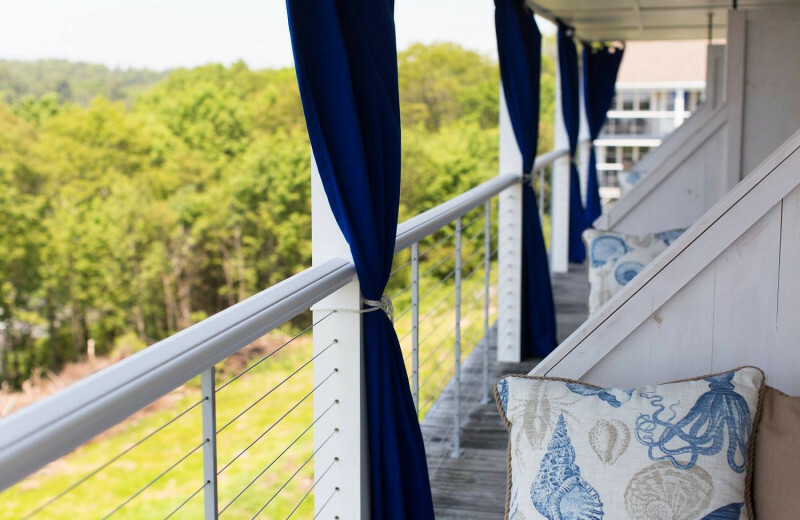 Maine luxury comes alive at the upscale coastal retreat of Topside Inn. 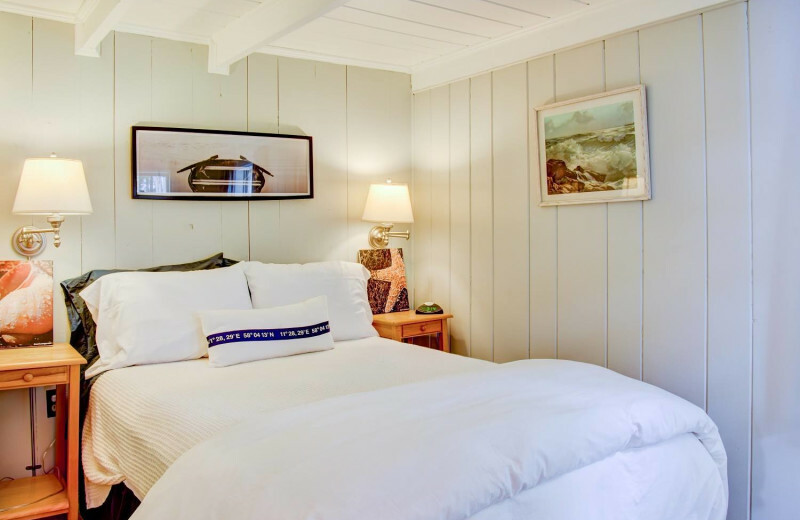 Here you will find beautiful coastal-themed rooms spread across their three buildings that offer the allure and sophistication of a boutique hotel. 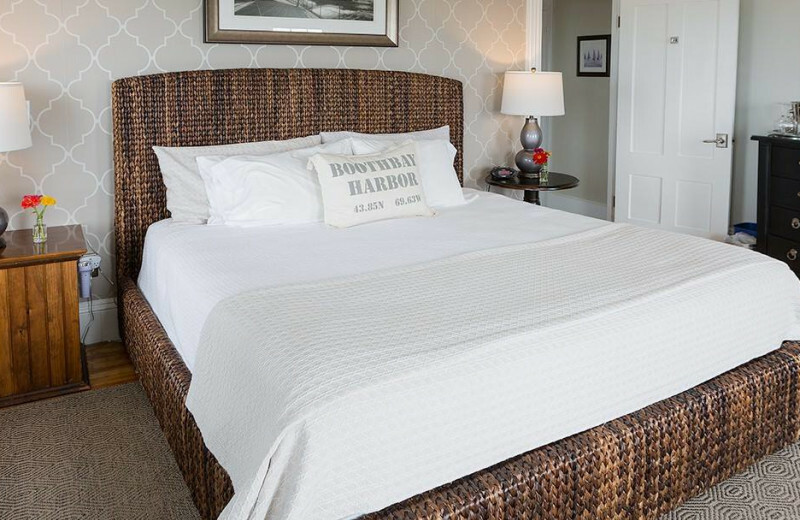 Complete with modern amenities and incredible coastal views, they're perfect for your getaway. 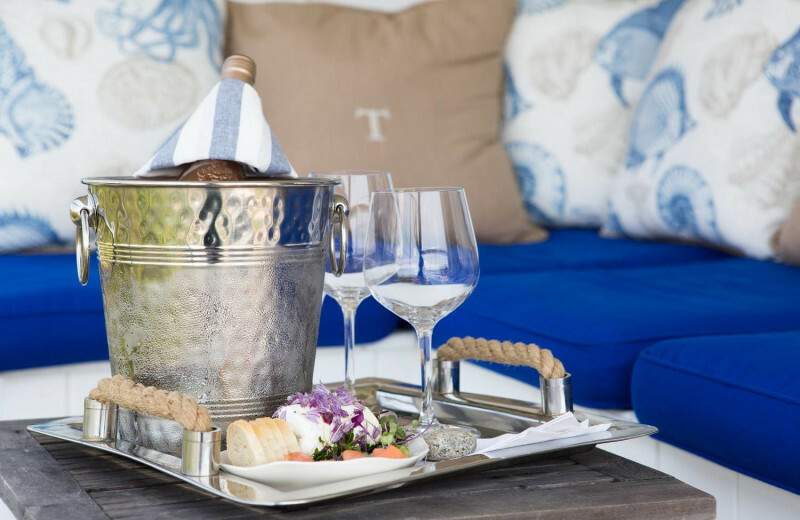 On top of their excellent accommodations, you will enjoy a delicious three-course breakfast every morning, afternoon treats, and occasional cocktail hours in the evenings! 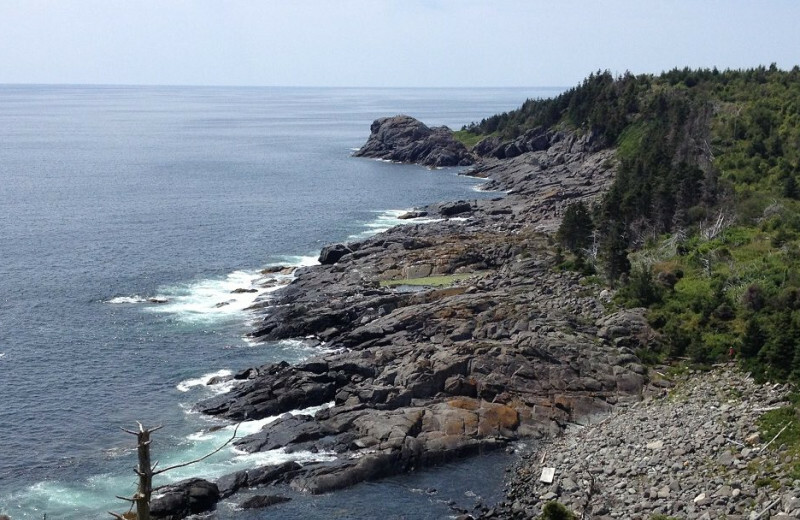 There's no better place than this to discover all the beauty and wonder of Maine's stunning coast! This package is available anytime – make your plans today! Please call us at 207.633.5404 or book online to reserve your room and this package. (Price does not include room rate) Please call us at 207.633.5404 or book online to reserve your room and this package. Boothbay is home to one of the best local breweries in Maine, Boothbay Craft Brewery. Tour the brewery, sample a wide variety of craft beers and enjoy a meal at the adjoining Watershed Tavern. There are two other breweries in the area to check out as well, Monhegan Brewing Company and Oxbow Brewing Company. You receive over $70 of value for $50…. An intimate celebration for the Two of you. 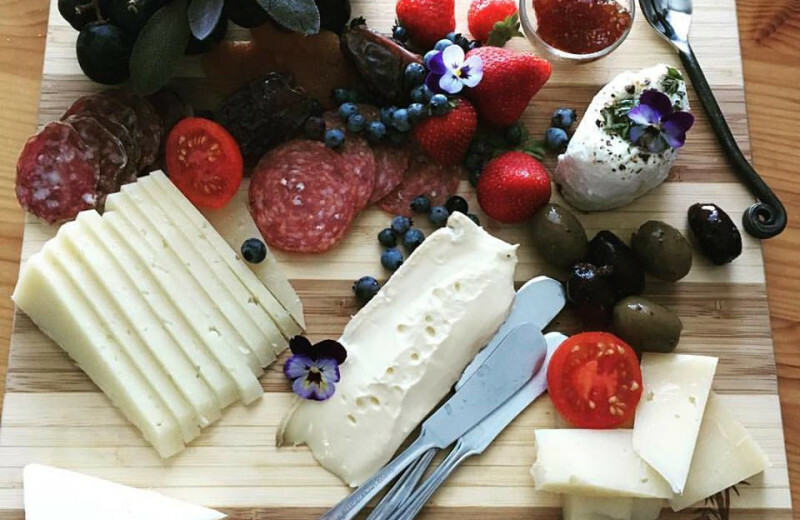 - A bottle of Vueve Cliquot or similar champagne and a local cheese board to be enjoyed after the ceremony or in your room during your stay. 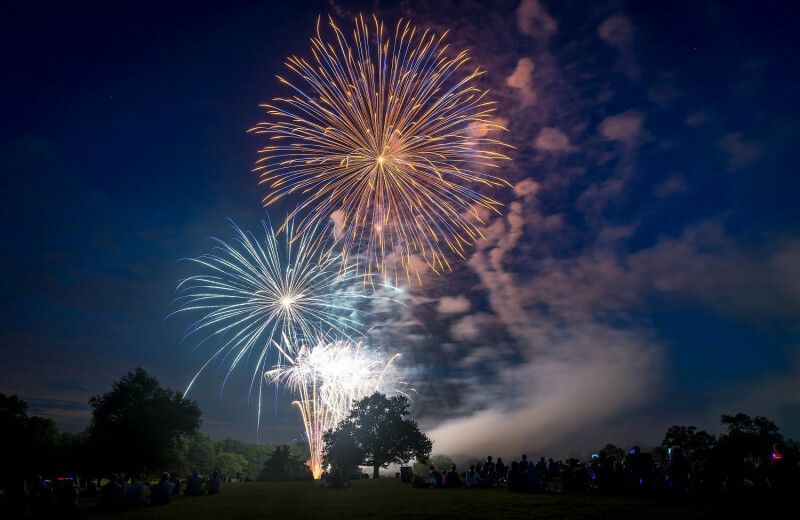 Including more family and friends…. – Same package above with 5 to 7 guests joining you for the ceremony, please add $200, and for 8 to 10 guests, add $300. 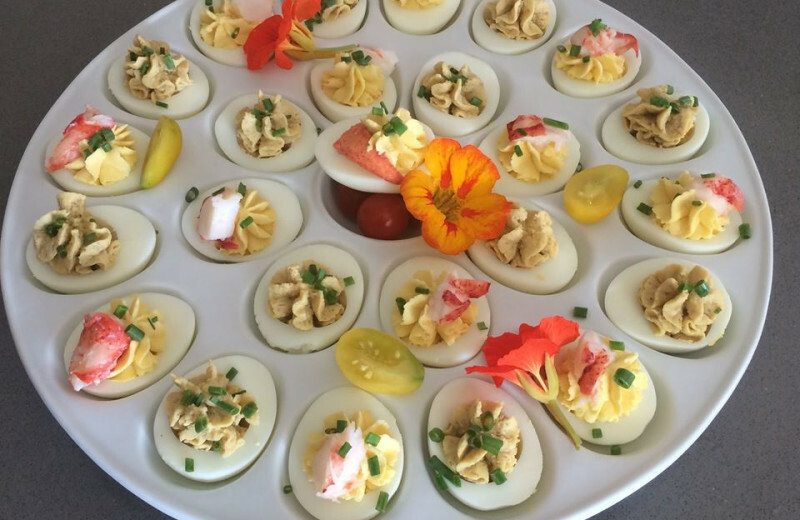 – Add a cocktail party following the ceremony… We are happy to work with you to create a locally inspired creative menu for stationary and/or passed appetizers and beverage choices. 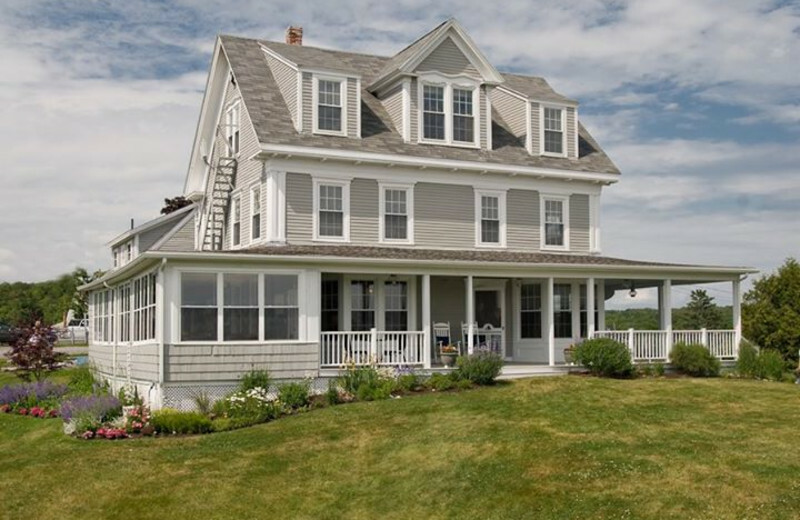 This property is ranked number 7 on Top Atlantic Coast Vacations. Read about it here.